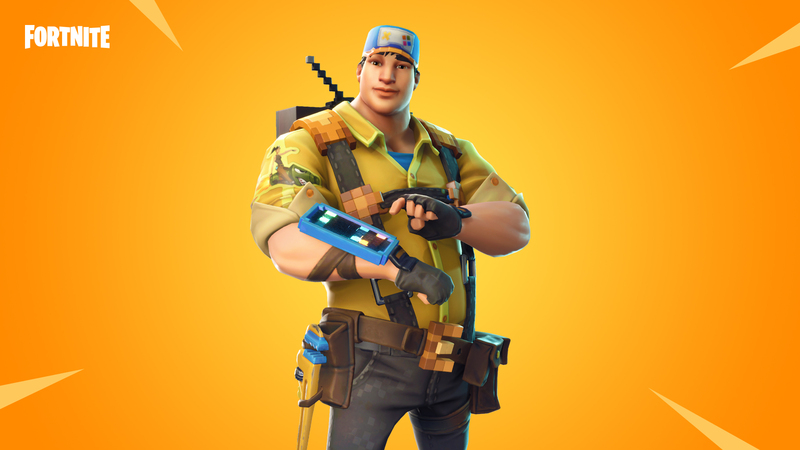 Clear out rooms with the new Stink Bomb in Battle Royale or demolish things with the new Constructor in Save the World. This new addition is nothing to sniff at, one whiff and they’ll be sprinting for fresh air. Build it up or tear it down with the new 8-Bit Demo. Grab it in the Event Store and make a bang. Fixed several issues with Discord integration and improved the information displayed when in a Battle Royale or Save the World game. Survive the countdown! The Storm Circles give players more room to hunt down opponents. The final circle triggers a countdown timer; when the time is up, the team with the most players remaining wins. In this LTM, teams can tie for the Victory Royale! Final Fight plays similar to standard Battle Royale, but instead of the Storm circles closing all the way, the Storm stops after the 3rd circle. When the circles have finished closing in, the final countdown timer will begin. The remaining teams will battle it out until the timer expires. The team with the most players remaining at the end of the timer wins! In the event of a tie, the two (or more) teams tied for the lead win the match. Time before the Storm starts closing in from 240s to 180s. Time for Storm to fully close in from 60s to 90s. Circle size from 120,000 units to 100,000 units. Circle size from 80,000 units to 65,000 units. Creates a stinky cloud that deals 5 damage every half-second within the cloud. Can be found from floor loot, chests, and Vending Machines. Loot in stacks of 3 with a maximum stack of 5. Increased the reload time of the Rocket Launcher based on rarity. Rare from 2.3 seconds to 2.8. Epic from 2.185 seconds to 2.66. Legendary from 2.07 to 2.52. The maximum number of unloaded Rocket Ammo that can be held has been changed to 12. Back Bling no longer appears detached from players at a distance. Fixed the two intersecting busses on the starting island. Fixed performance issues on Switch related to frequently called time functions during gameplay (especially when skydiving). Level streaming optimization to smooth out some hitches during skydiving on Switch. The music for the Fresh emote has been re-added. Fixed attenuation of Supply Drop opening sound so it doesn't sound like it's right next to players even if it’s opened far away. The Clinger explosion sound now plays properly if detonated directly next to you on iOS/Switch platforms. Added the “Net Debug Stats” HUD UI option for Xbox. Fixed a crash that could happen after buying items in the Item Shop. When using styleable outfits, your last saved version will always appear in the locker preview. Fixed an issue which could block progression where the Chrome Husky would no longer spawn if the Magnets! quest was completed. Players who were blocked will now be unblocked with this fix. New Constructor Demolitionist: 8-Bit Demo added to the Event Store. Available Wednesday, June 20 at 8pm ET.